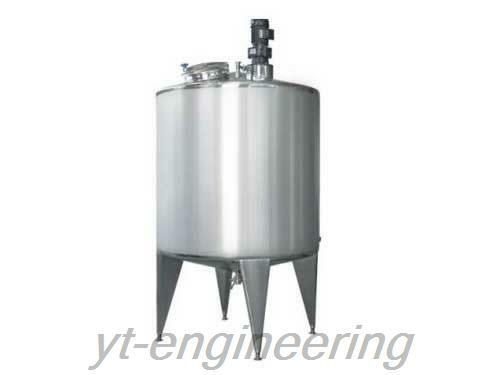 YJG liquid mixing tank is fixed on kinds of vessels. There are many stirring blades optional to meet different technological requirements. 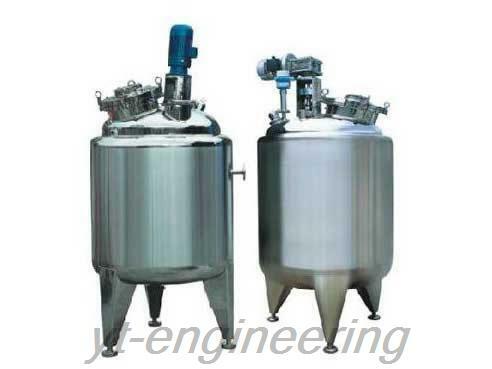 This liquid mixing vessel generally adopts double faces mechanical seal (double mechanical seal). Equipped with sealed self-lubrication system, it does not need to be maintained frequently. Our liquid mixing tanks are highly appreciated due to stable performance and safe and reliable features. 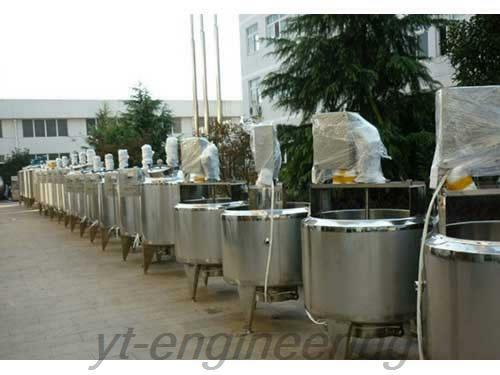 YJG liquid mixing vessel is typically used to stirring, mixing, dissolving, dispersion and color modulation of various materials. Featuring simple operation and strong adaptability, it becomes an ideal multifunctional facility with stirring, dispersing and other functions. 1.Driven by power unit, stirring blades of liquid mixing vessel rotates along a fixed direction. 2.During the rotation process, materials are driven to do axial rotation and radial rotation. Materials inside the tank also do axial rotation and circular motion simultaneously. There are different stirring forms, like shear mixing and dispersion stirring. They can effectively disperse and mix materials. Material Texture Contacted SUS304/SUS316L stainless steel, carbon steel, etc. Agitator Type anchor mixing blade with wall scraper, frame blade, folded blade type agitator, etc. Note: Jackets are available for heating or cooling operations. 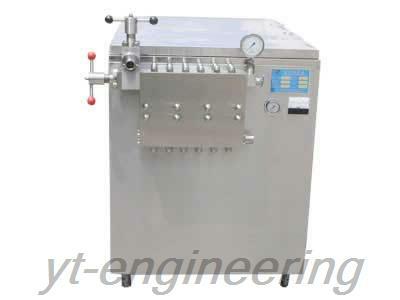 Jiangsu Yutong Drying Equipment Co., Ltd is a professional manufacturer and supplier of liquid mixing vessels in China. In addition to YJG liquid mixing tank, we also provide drying machine, grinding machine, granulating machine, extractor and concentrator equipment. Our company has been awarded as “AAA” enterprise by Jiangsu International Credit Assessment Company. Our products are highly appraised by customers worldwide.